It’s easy to micromanage a small operation. One kitchen, one dining room, one set of employees. One watchful eye can make sure this kitchen runs smoothly. But what happens when your business grows to enormous proportions? Things were much easier to handle when you had one, little location. But now?! How can you possibly wrangle this monster? You need protection that offers piece of mind. You need protection that’s tamperproof. You need long-lasting, locked-in, permanent protection. For any drain, big or small, PermaDrain protects every pipe. Installing PermaDrain products in your facility will keep your kitchen safe and sanitary. 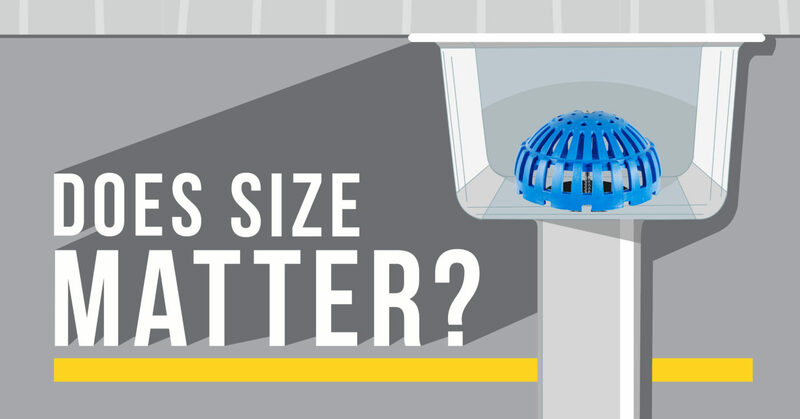 Our Locking Dome Strainers and Safety Baskets are manufactured to match your floor sink size perfectly and will prevent debris from entering floor sinks and mop sinks, eliminating sewer back ups and wet floors. Not only will our DrainShield prevent clogs in your prep sinks and 3 compartment sinks, but DrainShield also extends the life of your lever drain by preventing employees from using sharp objects to unclog a slow flowing drain. Our 3 ½” Cross Strainer will help you secure existing drain grate covers to your floor drains. PermaDrain gives you peace of mind by knowing no matter the size of your operaton, you’ll always be protected. Check our Facebook Page for new tips on how to manage your monster. TIME TO GET YOUR HANDS DIRTY… OR IS IT?